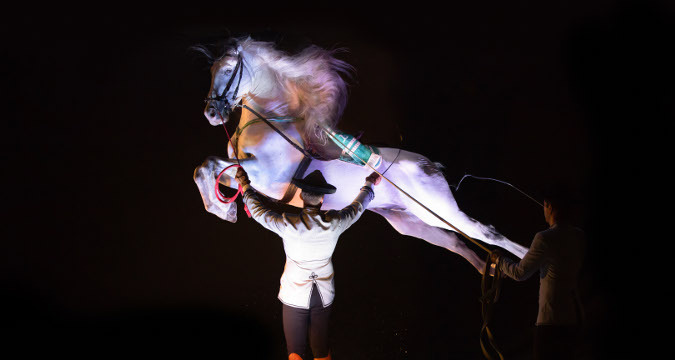 Experience Box offers you a wonderful high-quality horse show that combines music, rhythm and an amazing choreography. If you are looking for a typical Spanish activity, which combines originality and exclusivity for your group, look no further! 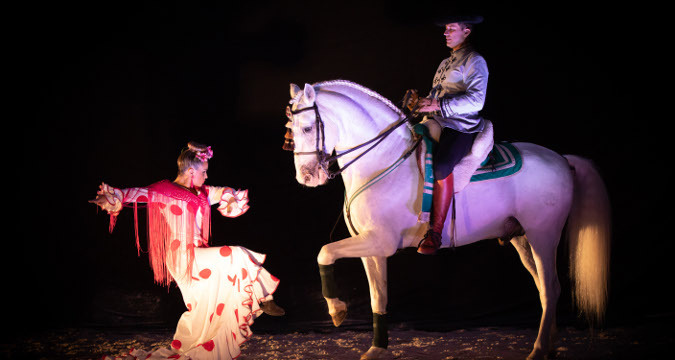 We present a unique show for up to 500 guests, where the choreographies and outfits are based on the classical Andalusian folklore, accompanied by Spanish music and typical Andalusian costumes. The show will be led at all times by our professional rider, winner of several important equestrian awards. 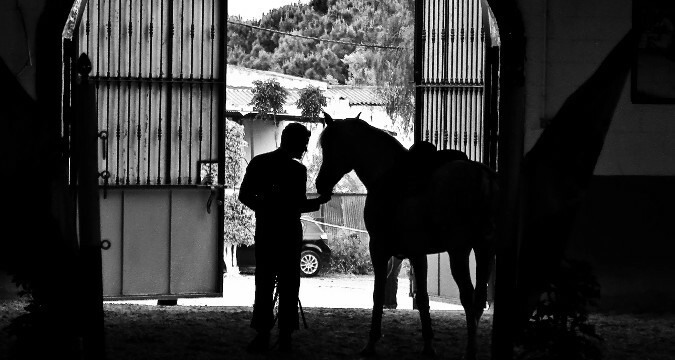 On this show we will have up to 20 different horses, each of them trained and tamed to a very high standard, so that each one can play a specific role. In addition to this show, we have as an optional the possibility of combining it with a meal (lunch or dinner) afterwards in a nearby venue for up to 250 guests. 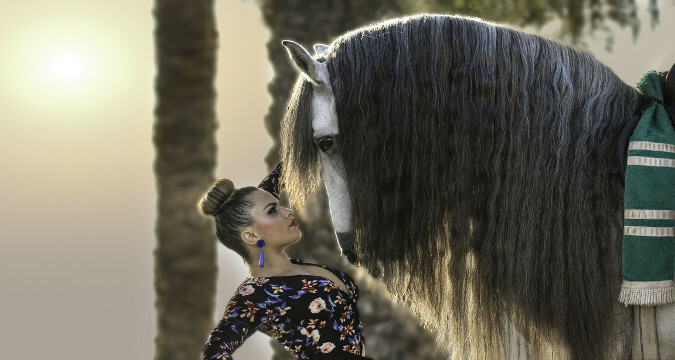 This horse show is a perfect solution for those groups that are looking for a very amusing and cultural activity on Costa del Sol. This activity does not depend on weather conditions, as it takes place indoor.